#LateAThon| Desperately needed to help with my overflowing 2018 TBR! Today’s post is giving you some insight into what I am going to be reading in January. I have A LOT of Netgalley books that NEED to be read and reviewed before I can even think of looking a head to 2019. So when I saw the big announcement over at Howling Libraries for the Late-A-Thon, I knew that I needed to jump on ASAP! The point is to try to tick off as many books as you want, that you did not get around to in 2018. It could be one or many more. I have chosen 25 books that I wanted to read but was unable to for one reason or another. I am going to place the titles in my TBR jar and try to power through as many as possible. I would love to get through all 25, but I must remain realistic and I will be happy if I at least get through 5. 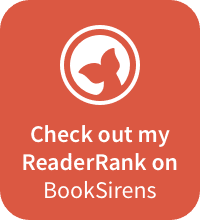 If you would like to take a closer look into my list, it can be found on my Goodreads page. This is just a quick look at those that I am looking forward to reading. If you would like to join in, just hop on over to Howling Libraries and create a list for yourself. Come on back here and let me know so that I can check out your list too! ‹ PreviousThe Expedition by Chris Babu| Left me wanting more! Next ›The Accidental Beauty Queen by Teri Wilson with Excerpt! Ahhh I am also jumping in on the late-a-thon! I am only past due on two arcs but at this point I need something like this otherwise I will probably never read them! LOL! I have quite a few of those too!